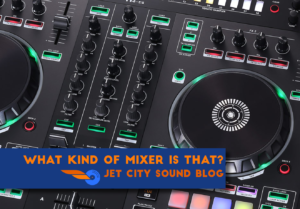 What kind of mixer is that? One of the questions we get a lot is about our gear selection. It’s kinda funny, because the gear doesn’t make the entertainment. We’ve been DJing a long time and have come to know the makers and styles that give us the performance we need, and also know that there are a lot of great gear-makers out there. Here’s a short list of some of the equipment we use. 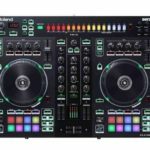 The Roland DJ-505 is a fairly new addition to the Roland Musical Instruments family, but the company has a very long heritage. Building on other pieces of the family, the DJ-505 combines modern tools with DJ-friendly functionality and some great on-board effects to make the DJ experience fun, and also give lots of versatility to a room. We love the low-latency platters (which give great response when mixing), and also the built-in drum machine / sequencer / sampler. 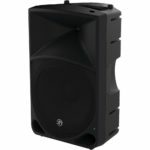 This lets us create rhythms on the fly, and keep the beat going while an emcee speaks to the crowd. 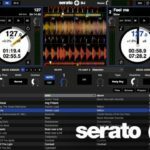 Serato has been a go-to tool for DJs for years and years. As DJs got away from playing all their music on vinyl and wanted to carry less gear but still wanted that vinyl feel, Serato filled the void. You can still see DJs playing digital music, but using Serato timecoded records plugged into their computers as the controller. We use the Roland DJ-505 as our controller and Serato as the library management tool. This gives us the best of all worlds, between tactile response, portability, and – most importantly – rock-solid library management to make sure the music goes all night! Great sound in a small package. They’re very portable, don’t draw too much power, but give great response at all frequencies. They just sound great. They’re not flashy. A speaker should sound good, not try to convince you it will. Mackie speakers are non-obtrusive. They’re local! 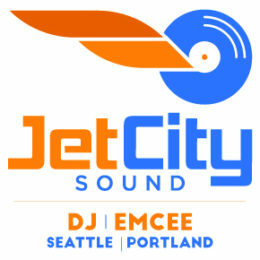 We love supporting Seattle-area business when we can, and Mackie fits the bill. ADJ has been a force in night club / dance floor lighting for decades. While their first products didn’t have the best quality, they’ve really upped their game in recent years and put out some good looking, well-built products. 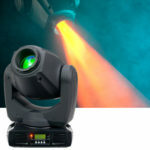 We really like the color density and versatility of the lights.